Posted 2 weeks ago by FARHAN786, 86 views. Posted 2 months ago by amit6567, 267 views. Posted 5 months ago by TheSkywalkers, 249 views. Posted 5 months ago by parul, 285 views. 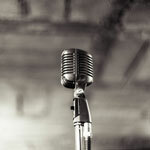 Free Singer wanted ads in New Delhi and surrounding areas. Find a Singer today or a band to play in. An overview of all New Delhi musician classifieds on Join-A-Band.com.